Located in north-central Saskatchewan, the Lac La Ronge Indian Band is the largest First Nation in Saskatchewan. Our reserve lands extend from rich farmlands in central Saskatchewan, all the way north through the boreal forest to the mighty Churchill River and beyond. Our central administration office is located in La Ronge, 241 km north of Prince Albert, on the edge of the Pre-Cambrian Shield. 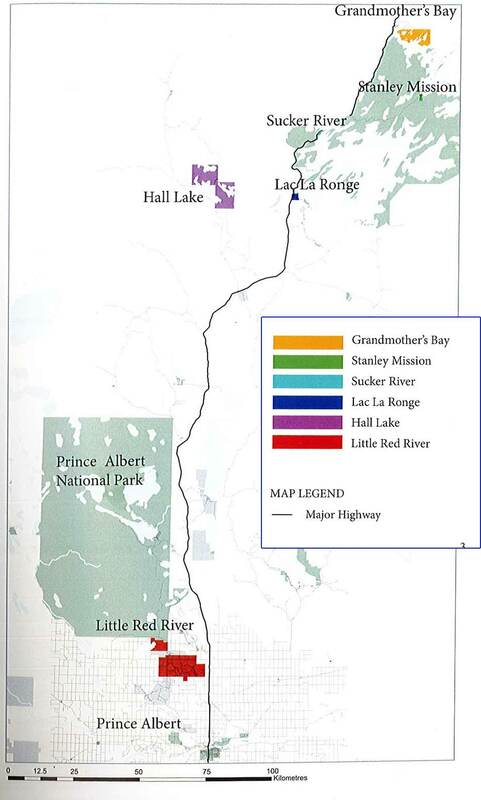 LLRIB has 19 reserve lands which amount to 210,003.5 hectares and is a multi-reserve Band including the 6 communities of La Ronge, Stanley Mission, Hall Lake, Little Red River, Sucker River and Grandmother’s Bay.